Figure 10 Large calculus in a patient with a UPJ obstruction. 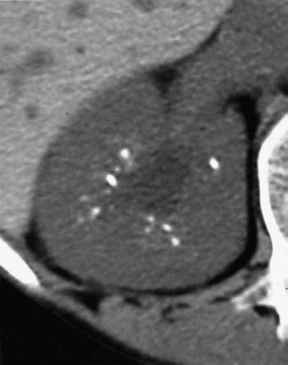 (A) A 2.5 cm spiculated calculus is seen in the right renal pelvis. There is also a smaller interpolar stone. (B) An IVU demonstrates marked right UPJ narrowing. Both the large size of the stone and the UPJ narrowing are contraindications for SWL and make PCNL the treatment of choice. Abbreviations: IVU, intravenous urogram; PCNL, percutaneous nephrostolithotomy; SWL, shock wave lithotripsy; UPJ, ureteropelvic junction. A study that compared SWL for stones in abnormal and normal urinary tracts found that although fragmentation rates were similar for the two groups, clearance rates of fragments were significantly different (78% vs 56%) (215). PCNL is often preferred to SWL in these situations because percutaneous removal of the calculi circumvents the anatomic abnormalities that prevent stone passage. For example, absolute stone-free rates with SWL in patients with such renal anomalies as horseshoe kidneys and pelvic kidneys average 62% (216), with many patients requiring multiple SWL treatments as well as additional procedures such as PCNL and ure-teroscopy to render them stone-free. A recent multicenter study reported that primary PCNL in patients with horseshoe kidneys had an 87.5% success rate in making patients stone-free, but major complications were reported in 9% of patients (217). The availability of small-caliber, flexible, actively deflectable ureteroscopes and holmium laser lithotripsy (which is an effective lithotrite to vaporize and fragment stones) has positioned ureteroscopy as an effective alternative to PCNL and SWL in treating stones in anomalous kidneys, with a reported posttreatment stone-free rate of 75% in one small series (216). Calculi that occur in transplanted kidneys can be effectively treated with PCNL (218,219). Percutaneous dilation of the tract may be difficult due to perirenal fibrosis that may occur in some patients, but the approach is otherwise similar to that used in native kidneys. In patients with UPJ obstruction, PCNL is often combined with endopyelotomy. Endopyelotomy incisions are made along the posterior and lateral margins of the UPJ, with the incisions extending through the ureteral wall into the periureteric fat. Such an approach avoids the vascular structures that are usually located anteriorly and medially. After the procedure, the ureter is stented for six to eight weeks with a large-bore stent. The reported success for relief of obstruction varies from 64% to 86% (165,167). When an endopyelotomy is planned, PCNL access through a posterior interpolar calyx or upper polar calyx provides the most direct and straight access to the UPJ. Calculi occur in about 40% of calyceal diverticula and are usually asymptomatic and of little clinical significance. However, they may be associated with flank pain and/ or chronic urinary tract infections (220). Open surgery with either marsupializa-tion or excision of the diverticulum and fulguration or closure of the narrow neck is highly successful. Occasional patients may also be treated with partial or, rarely, total nephrectomy. SWL of stones within calyceal diverticula has poor results, and stone-free rates of only 20% to 25% have been reported (221-223). Curiously, relief of symptoms can occur even if the patient is not rendered stone-free, although residual fragments do eventually grow and become symptomatic again. Percutaneous procedures are therefore advocated (224-226) as the safe and effective alternative for the management of symptomatic calyceal diverticular calculi. Retrograde ureteroscopic techniques (227), as well as a combined technique using both retrograde flexible ureteroscopy and simultaneous calyceal puncture, have also been used. The percutaneous technique consists of direct puncture of the symptomatic diverticulum (224-226) followed by tract dilation to 24 French to 34 French and nephroscopic stone extraction. Subsequently, either the neck of the diverticulum is dilated to 18 French to 34 French to enlarge its connection to the collecting system or the diverticular cavity is obliterated by electrocoagulation. The treatment of stones within anteriorly positioned diverti-cula can be technically challenging. Percutaneous techniques result in a stone-free rate of 95% to 100% (224-226), with obliteration of the diverticulum in 80% of patients and a marked decrease in size in the remaining 20% (224). These results are far superior to those obtainable by SWL and justify the use of PCNL as a preferred treatment, despite its greater invasiveness. 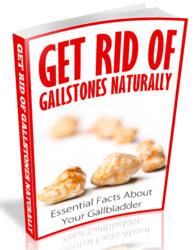 The clearance of stones and stone fragments from the dependent calyces, i.e., the lower pole of the kidneys, is variable, unpredictable, and problematic after SWL, and especially so if stones occur in association with lower pole hydronephrosis. When the stone burden is small and located in a nondilated collecting system, stone fragments are more likely to be propelled and expelled out of the lower dependent calyces by the coaptation of the nondilated calyces and infundibula during normal peristalsis (228). Coaptation of the calyces and infundibula is less likely in hydrone-phrotic collecting systems where peristalsis is often diminished or absent. There is a tendency for the fragments of lower pole calculi to remain within the dependent calyces after SWL, and these retained stone particles in the lower pole can serve as a nidus for stone growth. Lingeman et al. (228) reported stone-free rates of 90% for PCNL versus 59% for SWL and also noted that results of SWL correlated inversely with the stone burden treated, whereas the results of PCNL were independent of the stone burden. With stones that were 1 cm to 2 cm in size or larger than 2 cm, stone-free rates with SWL were 56% and 33%, compared to 89% and 94%, respectively, for PCNL. Albala et al. (229) reported that with stones greater than 1 cm in the lower poles, retreatment or auxiliary procedures were needed in 36% (15/42) after SWL compared with 11% (4/38) undergoing PCNL. Stone recurrence rates in the lower pole following SWL range from 22% to 58% (230,231). Gerber (232) reported that despite the poor published results for treating lower pole stones greater than 2 cm with SWL, 21% of urologists in their survey still preferred and recommended SWL over PCNL, whereas 65% of urologists treated 1 cm to 2 cm lower pole stones with SWL despite stone-free rates of just 41% to 56% (228,233,234). Thus, although SWL continues to be the preferred initial therapy for lower pole stones, as well as upper pole stones, by many urologists, the proven success and efficacy of PCNL in treating these calculi would argue for PCNL being the therapeutic modality of choice. It remains unclear whether calyceal and infundibular anatomy can be predictive of lower pole stone clearance. Some factors that may be influential are the lower infundibular length-to-diameter ratio, overall infundibular diameter, and the number of minor calyces (233,234). The composition of a given calculus is critical when one is deciding on the best method of management. Certain calculi are readily fragmented by ultrasonic litho-tripsy but are refractory to SWL, making PCNL the treatment of choice. Calculi composed of cystine fragment unreliably with SWL, requiring a greater number of treatments and total number of shocks compared to other calculi (235). Because many patients with these calculi are plagued with multiple stone events, which have required multiple previous interventions and can be anticipated to do so again, a trial of SWL for cystine stones less than 2 cm in size is reasonable. Rough, spiculated cystine stones that have recently formed respond better to SWL than do homogeneous, smooth, long-standing stones (236). High-power machines, such as the HM-3, also appear to be more effective. For stones larger than 2 cm, proceeding directly to PCNL is the best option. All stone material must be removed at the time of the percutaneous procedure to ensure that the patient will remain stone-free. Medical treatment (with acetylcysteine) has been unreliable in removing residual fragments (237), but its efficacy may be improved by infusing the drugs through percutaneously placed catheters. Stones composed of calcium oxalate dihydrate and struvite break up well with SWL or any other form of power lithotripsy, whereas stones composed either partially or completely of calcium oxalate monohydrate do not respond well to SWL. With these stones, the volume of the stone is the main determinant of the most desirable mode of therapy. Uric acid calculi respond well to SWL but not to ultrasonic lithotripsy. A misshapen body habitus, such as that caused by scoliosis or, more commonly, morbid obesity, may make SWL unfeasible because the patients cannot be positioned so that the stone is in the focal point of the machine. PCNL may also be technically demanding in these patients but carries fewer risks than open surgery does. A preprocedural CT scan is helpful in such patients to evaluate the anatomy and plan an access route that avoids bowel and other viscera (238). 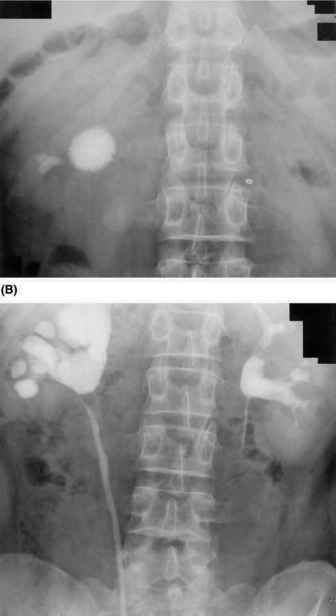 PCNL has also been successfully applied in the treatment of calculus disease in anomalous kidneys, such as crossed-fused renal ectopia, horseshoe kidneys, and pelvic kidneys. These complicated cases also call for extensive preprocedural planning. If the presence of residual fragments is unacceptable to the patient for psychological or occupational reasons (airline pilots being the classic example), PCNL is an optimal option because of its superior stone-free rate of 95% to 98%. Renal colic affects 1 in 1500 pregnancies, usually during the second and third trimesters. Conservative treatment consisting of analgesia and hydration is effective in most patients, and the renal calculi pass spontaneously in 75% of patients (239). More aggressive therapy is required in patients with refractory pain, sepsis, renal insufficiency (particularly if there is a solitary kidney), and colic-induced preterm labor. Therapeutic interventions during pregnancy are restricted to drainage of the affected collecting system by either a ureteral stent placed in a retrograde fashion or a PCN. Ureteral stents can be placed with local anesthesia and are usually well tolerated during pregnancy (240,241). Endoluminal ultrasound has been used to place a ureteral stent (242), thus avoiding the potential risks of radiation exposure. If stent placement fails, PCN is performed. SWL as well as ultrasonic and laser lithotripsy are contraindicated during pregnancy. Therefore, definitive therapy for the calculus is best postponed until six weeks postpartum. PCNL, ureteroscopic stone extraction, and open surgery (pyelolithot-omy or ureterolithotomy) have all been performed during pregnancy (240), and general anesthesia can safely be administered during pregnancy (243). Because radio-logic monitoring during ureteroscopy is not essential and can be eliminated, it is preferred over PCNL if stone extraction is deemed necessary (244).